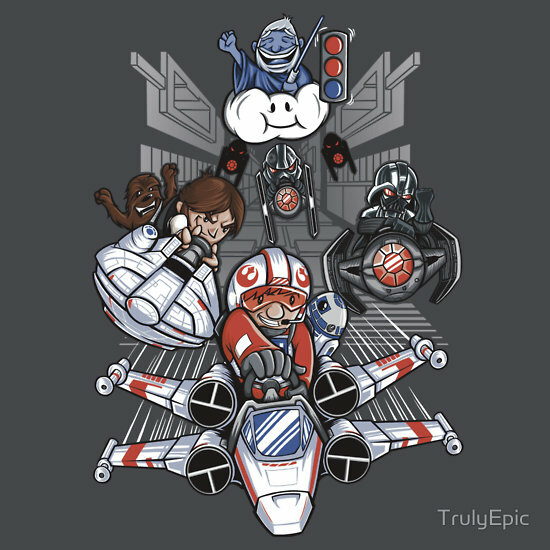 New on Redbubble is this cool design of the final Death Star Trench Run as seen by Truly Epic. It’s pretty cool design and is available as both a tee shirt and a sticker. This entry was posted in Art, Stickers, Tee Shirts, Things that i don't have yet... and tagged Art, Darth Vader, Han Solo, Luke Skywalker, Millenium Falcon, Millennium Falcon, Red 5, Star Wars, Tie Fighter, TrulyEpic, X-Wing. Bookmark the permalink.